"Six foot two, eyes of blue, Sammy Morgan's after you!" Representative Honours: Northern Ireland: 18 Full Caps / 3 Goals (1972-1978). Club Honours: (with Villa) Football League Division Two Runner-Up 1974/75 (promoted); (with Brighton) Football League Division Three Runner-Up 1976/77 (promoted); (with Cambridge) Football League Division Three Runner-Up 1977/78 (promoted); (with Groningen) Dutch Eerste Divisie Champion 1979/80 (promoted). East Belfast-born Sammy Morgan attended Nettlefield Primary School with George Best, indeed they featured in the same school team. Morgan left Belfast as an 11 year-old with his family, settling in Gorleston, near Great Yarmouth, where he continued his footballing development. He represented Gorleston and Norfolk Schools and played as an amateur with Gorleston FC while studying as a maths and physical education teacher at Nottingham University. 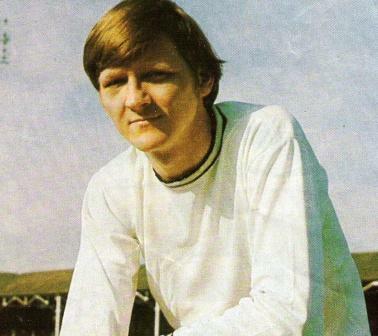 As a schoolboy Morgan had had an unsuccessful trial with Ipswich Town, but at 23 years old, in January 1970 he had a successful trial with Port Vale and signed amateur forms. Come July 1970 he was forced to make a decision between full-time professional football or teaching. 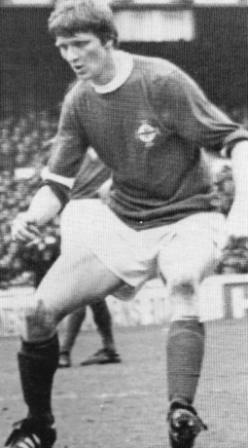 He chose football, making a scoring Football League debut against Swansea in August 1970. The burly centre-forward, he weighed in at up to thirteen and a half stone during his career, proved highly effective in an unadventurous Vale side. His strength and aggression in Third Division football brought him to the attentions of Northern Ireland boss, Terry Neill. He made a scoring international debut against Spain at Hull, teaming up with old school-chum Best. Despite his impressive debut Morgan was sidelined in favour of Derek Dougan and Willie Irvine, both of whom were playing at a higher level. He did manage to take his cap total to seven while at Vale Park, for many years a club record. The ambitious Morgan made the step up to Division Two when signed by Aston Villa in the summer of 1973 in a deal which eventually netted the Valiants £27,622 with clauses. In 1975 he played a small role in Villa’s successful promotion campaign, scoring four goals in twelve games, in a season interrupted by a serious back-injury. That same injury also denied him a place in the League Cup winning side, having scored twice in the run to Wembley. Morgan played just three top-flight games for Villa before he was sold to Brighton for a cut-down £10,000 fee. At the Goldstone he was again troubled by injury, this time to his ankles, but he managed a credible seven goals in eighteen games as Brighton were promoted to Division Two in 1977. After a second injury-ravaged season with the Seagulls, Morgan returned to Division Three with Cambridge United. Once again he aided a team to promotion, but he left the Abbey Stadium in August 1978 following a dispute with the club. Although some felt that would signal the end of Morgan’s career he was still much much sought after. There was interest from two Norwegian clubs, but he was Netherlands bound, signing for Sparta Rotterdam. He quickly found favour with the Dutch fans and earned an international recall after a two-year absence, playing in a 2-1 win over Denmark for his eighteenth and final cap. After a final season in Dutch football, in which he aided Groningen to the Eeste Divisie (level two) title, he returned to play for his first club, Gorleston. 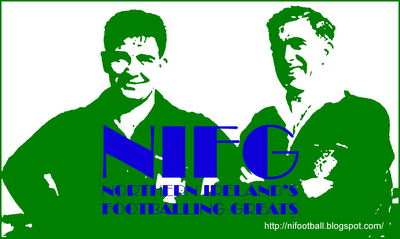 In 1981 he was appointed manager, and remains one of the most popular figures in the club’s history. He also returned to teaching and became involved in Great Yarmouth Schools football, taking the role of manager, secretary then chairman. In 1990 Morgan started working with Norwich City’s schoolboys and in 1998 he took the full-time role of Youth Development Manager then, as holder of a UEFA Class A license, Football Academy Director. He worked with Norwich until May 2004, then joined Ipswich Town as Education Officer the following November. He was then Ipwich's Academy manager from 2009 until stepping down in May 2012. Summary: 15(3)/3. Won 7, Drew 4, Lost 7.